Dr. Andrew Ayers specializes in the treatment of sports-related shoulder, elbow, knee and ankle injuries with a secondary interest in the treatment of traumatic injuries and fractures. In over a year in pain, Dr. Ayers was the first to suggest a possible knee problem, not back or nerves. very quick, doesn't provide much face to face time or questions, but I guess they are over booked. Back to deadlifting and squatting 12 weeks post ACL reconstruction. I'm very happy with my experience. the apt was on time. the staff was very nice and the nursing asst. was nice also. the doctor was quick and explained things well. 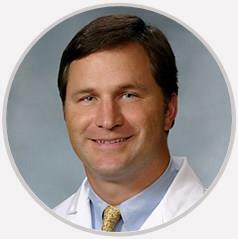 Dr. Andrew Ayers specializes in the treatment of sports-related shoulder, elbow, knee and ankle injuries with a secondary interest in the treatment of traumatic injuries and fractures. He is a graduate of Colby College where he captained the football and lacrosse teams. After graduating from Colby, he taught biology and Latin and coached football, basketball and lacrosse at the Delbarton School in Morristown, NJ. He spent summers working as an instructor at a mountaineering school in Chamonix, France. Dr. Ayers then went on to earn a master’s degree in physiology from Georgetown University, where he also worked as a graduate assistant coach for the lacrosse team. He remained at Georgetown to obtain his M.D. and completed his orthopedic surgery residency training at Georgetown University Hospital. He rounded out his training with a fellowship in sports medicine at the Hughston Clinic in Columbus, GA where he was team physician for local high schools, colleges and professional sports teams. He and his wife Kate and their four children live in Hamilton where he enjoys the outdoors and coaches youth hockey and lacrosse.